Health and safety training is a legal requirement for all organisations. To ensure a safe working and learning environment in schools and comply with legal obligations, ongoing health and safety training is essential. 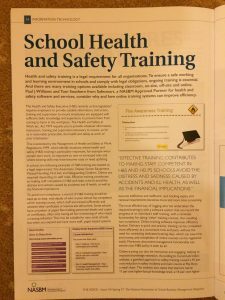 There are many school health and safety training options available, including classroom, on-site, off-site and online. 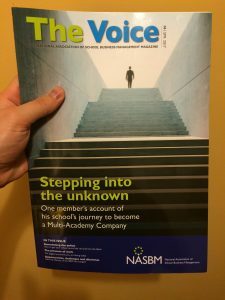 Paul J Williams and Tom Southern from Safesmart, a NASBM Approved Partner for health and safety software and services, consider why and how online school health and safety training systems can improve efficiency. This is extended by the Management of Health and Safety at Work Regulations 1999, which identify situations where health and safety (H&S) training is particularly important, for example when people start work, on exposure to new or increased risks and where existing skills may have become rusty or need updating. In school, the following examples of H&S training are needed as a legal requirement: Fire Awareness, Display Screen Equipment, Manual Handling, First Aid, and Safeguarding Children. Others are required depending on staff roles. Effective training contributes to making staff competent in H&S and helps schools avoid the distress and sadness caused by accidents and ill health, as well as the financial implications. To avoid non-compliance, a record of H&S training should be kept up to date, with details of who in your school has completed which training course, which staff are trained sufficiently and whether their certificates or licences are still current? Some schools have a number of paper files holding personnel details and copies of certificates, often only having adhoc monitoring of who needs a training refresher. This may be suitable for very small schools but when you expand and have more staff, paper-based systems become ineffective and inefficient. and tracking expiry and renewal requirements becomes more and more time consuming. The most efficient way of logging who has undertaken the required school health and safety training, is with a software system that can record the progress of an individual’s staff training with reminder functionality for taking ‘other’ training courses, thus avoiding non-compliance. 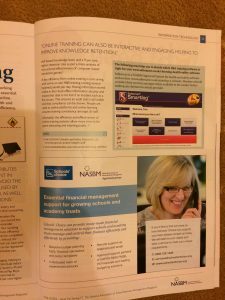 Online training software improves efficiency further. Delivery is quick and precise, training can be completed more efficiently at a convenient time and pace, without the need for scheduling dedicated training days, which can save time and money, and completion of online courses can be registered easily. Moreover, document management functionality can ensure your H&S policy is seen by all. A key efficiency from online training is cost saving, with some onsite H&S training costing several hundred pounds per day. Having information stored online in the cloud offers information security and means that data is not lost if an incident such as a fire occurs. This ensures an audit trail is still visible and that compliance can be shown. People are used to online platforms and online learning ensures training consistency amongst all staff. Ultimately, the efficiency and effectiveness of online training systems allow more time to be spent educating and inspiring pupils. Safesmart is a NASBM Approved Partner for health and safety software and services (www.safesmart.co.uk/smartlog-4-schools). Effective training contributes to making school staff competent in H&S and helps schools avoid the distress and sadness caused by accidents and ill health, as well as the financial implications. Online training can also be interactive and engaging, helping to improve knowledge retention. A: Schools need to keep an up-to-date record of who has completed H&S training and when. B: Using online training software saves your school time and money and can help knowledge retention. This entry was posted in Advice & Answers and tagged Health and Safety, School, Training. Bookmark the permalink. Both comments and trackbacks are currently closed.